We can’t go through this grief journey without experiencing “triggers” over and over again. Our loved ones leave so many reminders of them both physically and emotionally. Triggers that set us off in a tailspin of tears, in a ball of agony time after time. 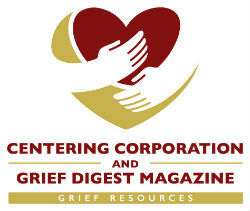 In the early days, weeks and months of our grief we seem to be surrounded by triggers. Those clothes in the laundry hamper that we clutch to our face, breathing in that scent of the beloved. That special food or ingredient in the grocery store that brings up the image of shared meals never to be experienced again. We might see their friends or siblings getting married, having babies, graduating, all the happiness we will never share. Especially those babies we will never hold, the families we will never welcome. It could be a concert with a favorite artist, a hymn at a funeral, good news you want to rush to the phone and call them about. Triggers are all around us. At Christmas it is exceptionally hard. All the joy, gatherings, carols playing, lights, favorite traditional movies, gifts you would have wanted to give, church services, candle lighting, concerts, plays, happy children…it never stops . Triggers will continue to be with us as long as we live, but in the long run they will elicit softer responses. They will remind us of gratitude for the gifts of their lives, the memories of times shared and treasured. Triggers will allow us to remember and share those memories with others we hold close and keep that precious one a presence in the lives of all who knew them and a point of light shared with those who never got to meet them. Arleen is a bereaved parent whose son, Kenneth Bruce Simmonds, drowned while fishing off the shore of the Thompson River near Kamloops, B.C. Canada. She has been involved in a co-leadership capacity with her local chapter of The Compassionate Friends since 1989 and has been the editor of their chapter's newsletter since 1991. She has written many poems and short articles for several wonderful publications. She and her husband, Roy, have been married for sixty years. They have two surviving sons, a daughter, 4 grandsons and a great-grandson.